We are a leading produce packaging manufacturer and distributor helping growers, packers and shippers deliver quality fruit since 1937. We are the valley's oldest and largest manufacturer and distributor of protective packaging materials for fresh fruits and vegetables. 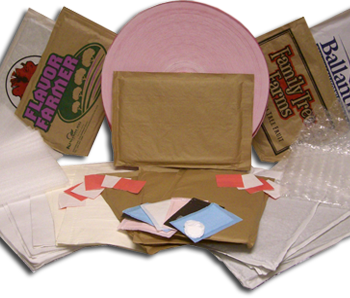 This includes the Jiffy® Macerated Produce Pads, Kushion Kraft®, Bubble Wrap®, Cell-Aire® Polyethylene foam, Embossed Tissue, Diaper and Soaker Pads. These products protect Peaches, Plums, Nectarines Apricots, Apples, Pears, Grapes, Asparagus, Fresh Berries and many other fresh fruits and vegetables. We are also the Valley's oldest and largest manufacturer of major Raisin Tray Brands, types and sizes, including SUN-DRY® and SUNBEAM®. Michelsen Packaging is also the #1 choice of valley growers for Continuous Raisin Paper Rolls. Throughout seven decades of growth, we have remained true to our founder's philosophy, "Exceptional customer service continues as our number one goal." "Exceptional customer service continues as our number one goal."